New COSM Models and Effects: Electric, acoustic and even bass guitar models, and new synth waves such as the famous GR-300. 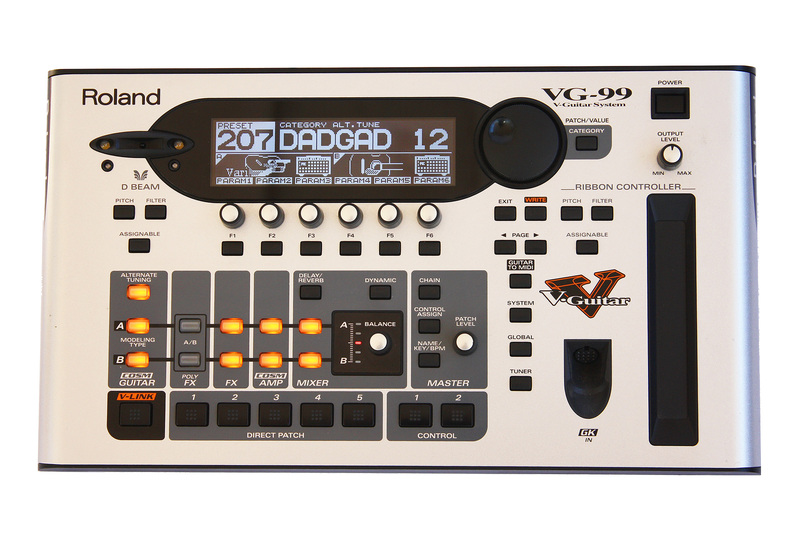 In addition, the VG-99 has the Freeze effect, a real-time, infinite sample of any sound. 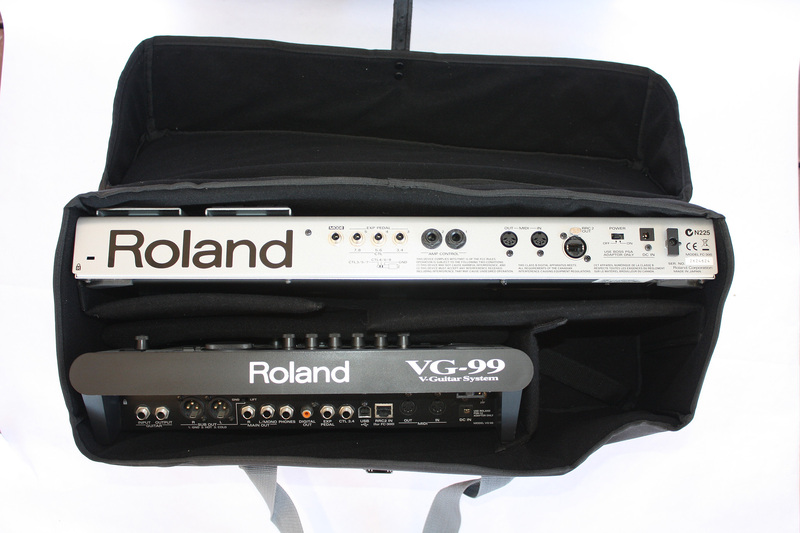 The Roland VG-99 is the flagship of Roland guitar synthesizers, with more pure guitar synthesizer processing power than any guitar synthesizer ever built. 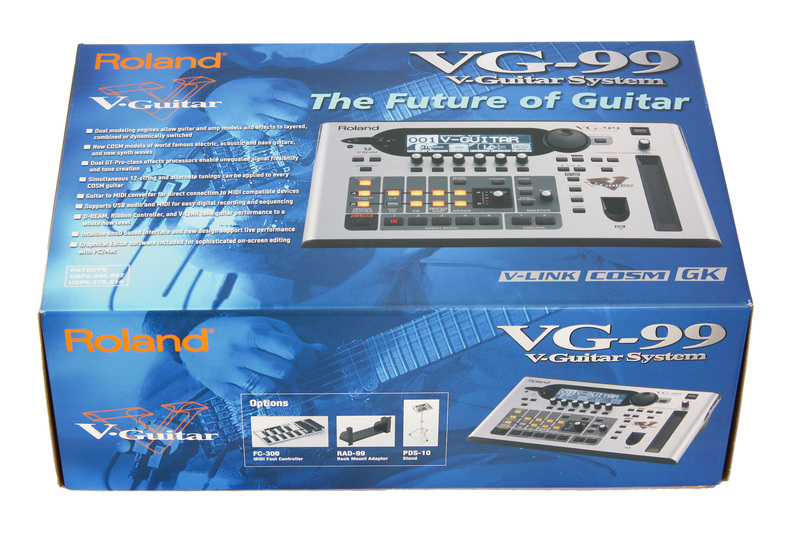 The VG-99 is unique in its design, with two fully independent guitar synthesizer engines, plus unique control options that are not found on any other guitar synthesizer, from the innovative D-Beam controller, ribbon controller, freeze effect, poly effects, plus expansion via the Roland FC-300. 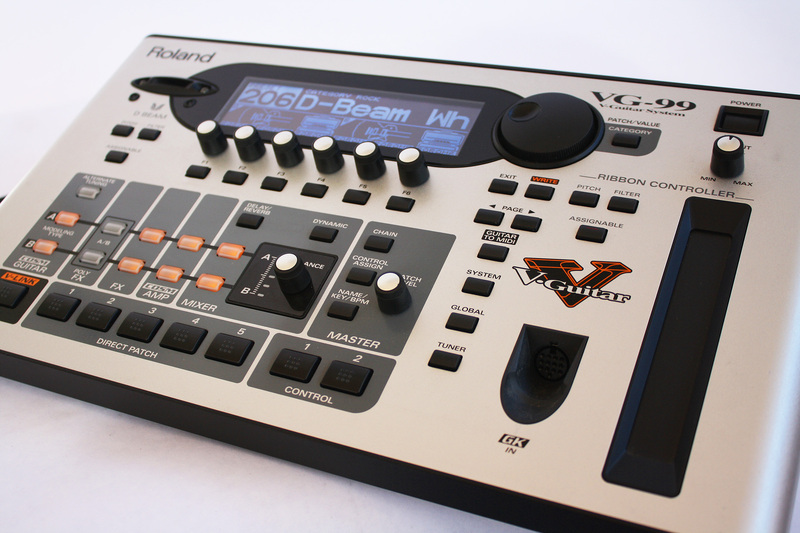 Unlike the more recent Roland GR-55, the VG-99 does not offer PCM synthesis, such as the ability to reproduce drums, piano, etc. 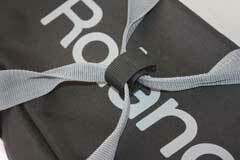 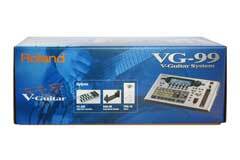 The sound of the VG-99, like the classic Roland GR-300, is closely derived from the guitar strings, resulting in faster and more accurate tracking than any synthesizer on the market. 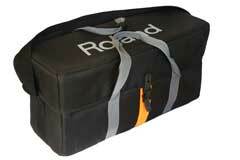 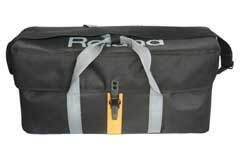 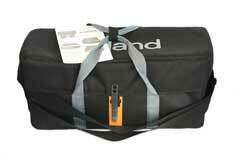 FC-300: Roland offered a surprising number of accessories for the Roland VG-99 and VB-99. 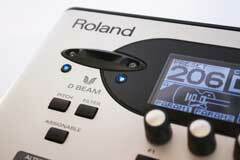 First and foremost is the FC-300. 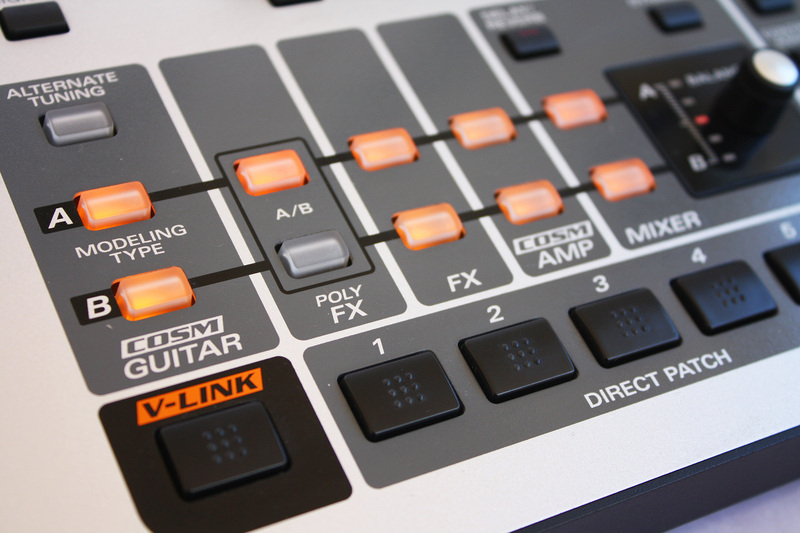 The FC-300 works as a full feature MIDI control pedal, powered by an external Roland/Boss power supply. 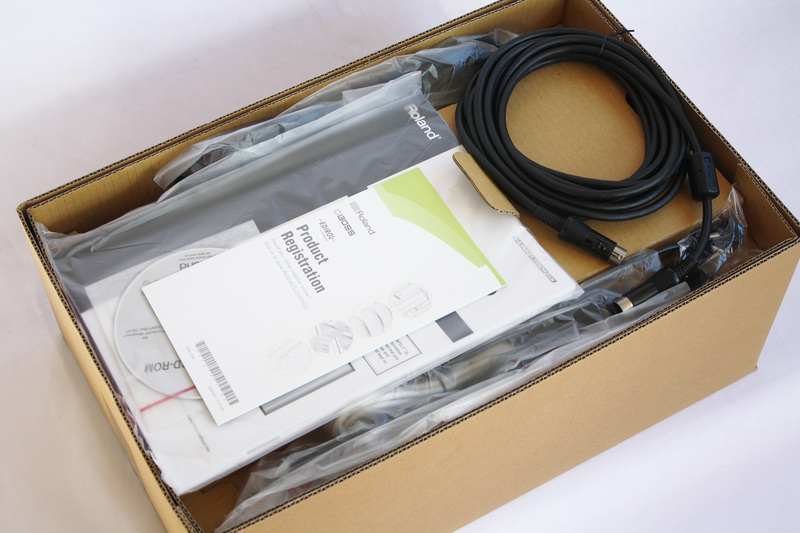 The FC-300 connects to the VG-99 with the RRC2 cable, a CAT-5 network style cable that provides both bi-directional communication with the VG-99, and power as well. 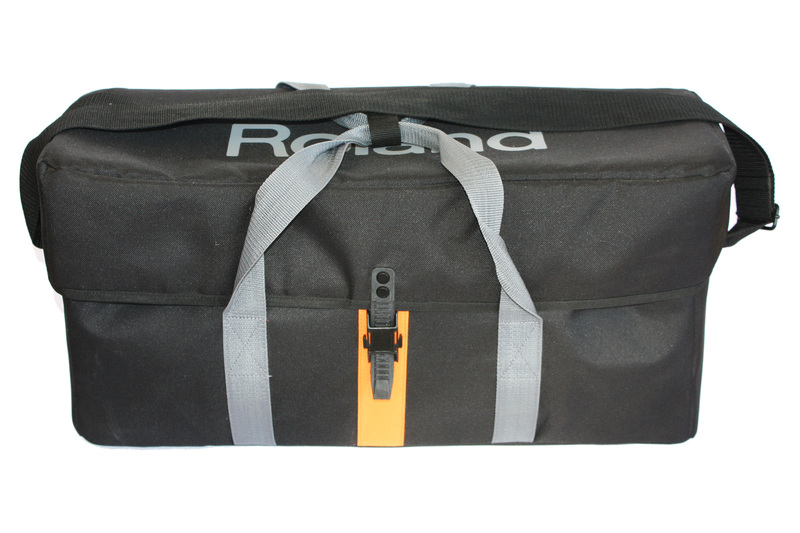 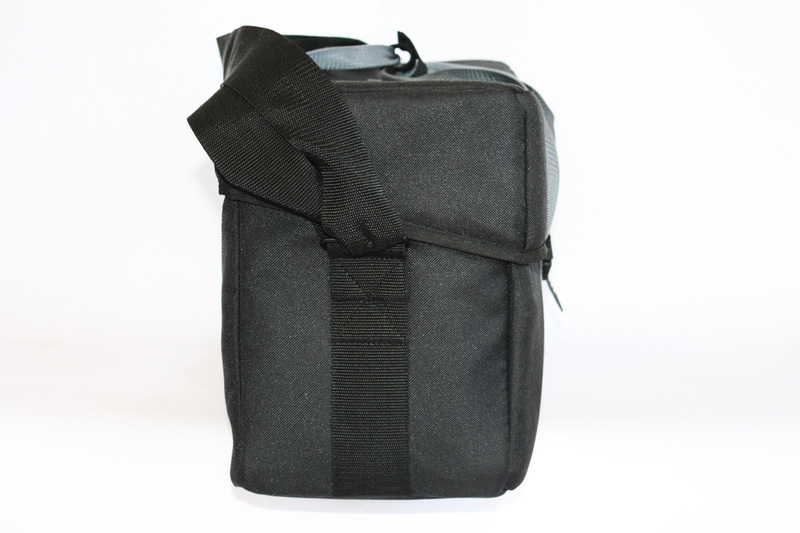 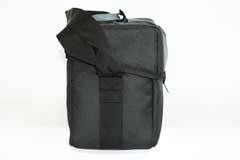 CB-VG9: The CB-VG9 is a custom carry bag for the VG-99 that can be configured to carry the FC-300 and a VG-99, or a VG-99 and the PDS-10 stand. 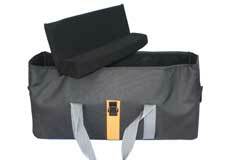 The CB-VG9 is 22" x 10" x 8", and weighs 2 lbs and 9 oz. 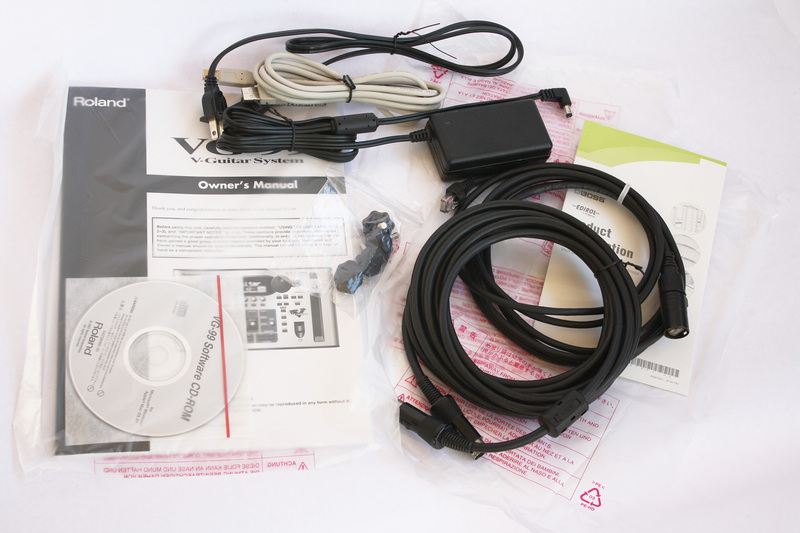 Click here to download a scan of the CB-VG9 owner's manual. 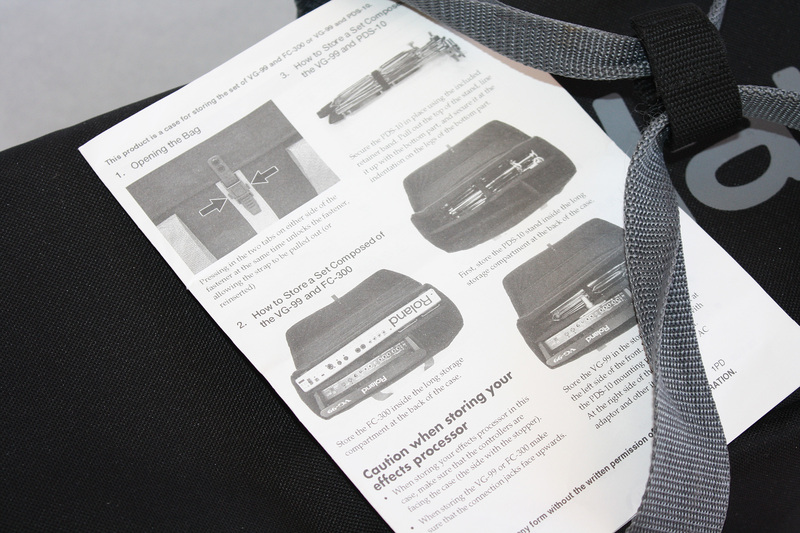 Download the VG-99 Owner's Manual (pdf). Download the CB-VG9 Owner's Manual (pdf). 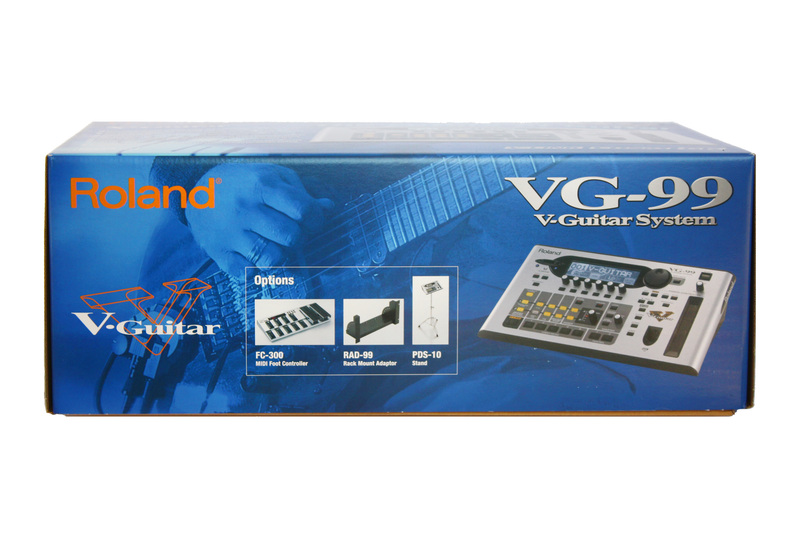 Check out the November issue of Premier Guitar magazine! Wayne Scott Joness does an extensive side-by-side comparison of the virtual Roland GR-300 emulation in the Roland VG-99 with a vintage Roland GR-300. 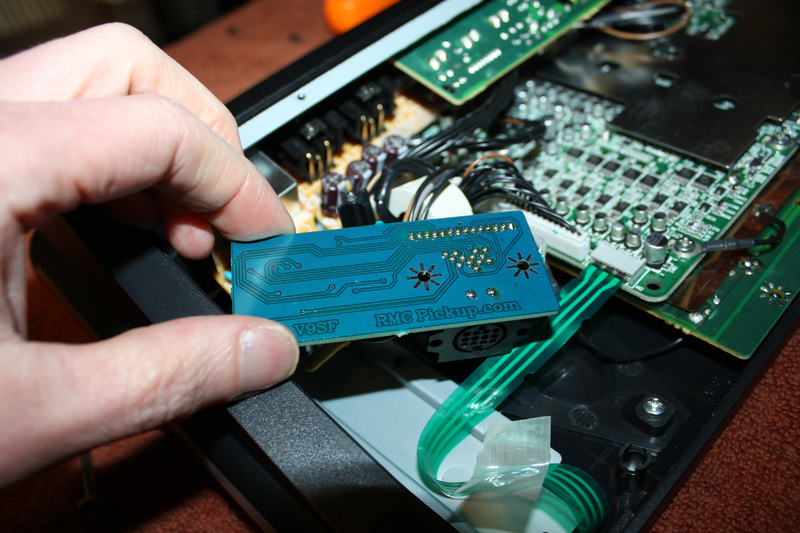 The article includes the results of timing tests and oscilloscope screen capture photos of a real and emulated GR-300. 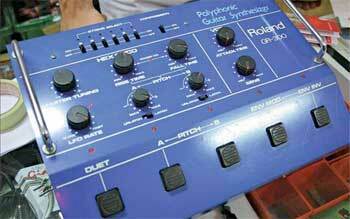 This is the most extensive comparison of this legendary vintage analog synthesizer ever published! 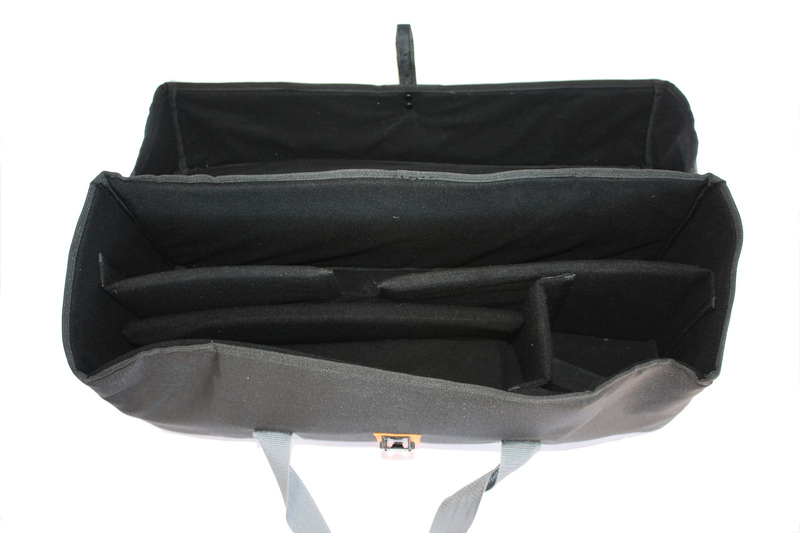 Check out the online September issue of Premier Guitar magazine! 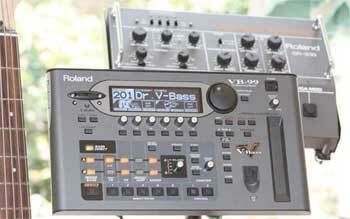 Wayne Scott Joness does an extensive side-by-side comparison of the virtual Roland GR-300 emulation in the Roland VB-99 with a vintage Roland GR-33B. 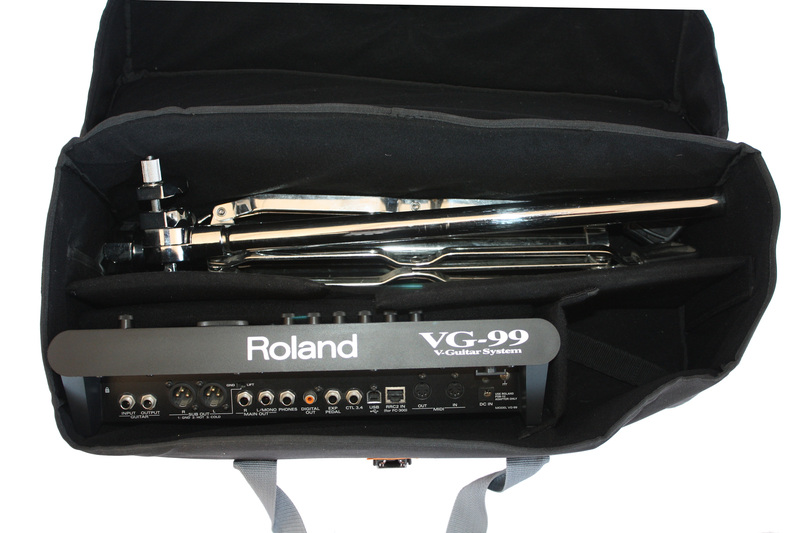 The article includes cool video clips of bassist Mark Harris playing a GR-33B and VB-99 at the same time! 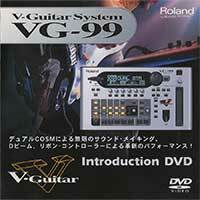 In 2007 Roland released a free promotional DVD in Japan for the new VG-99. 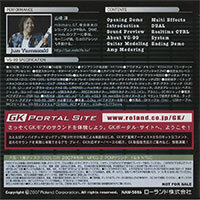 This was an exceptionally well-produced 26 minute video featuring Japanese guitarist Jun Yamazaki (山崎　淳). 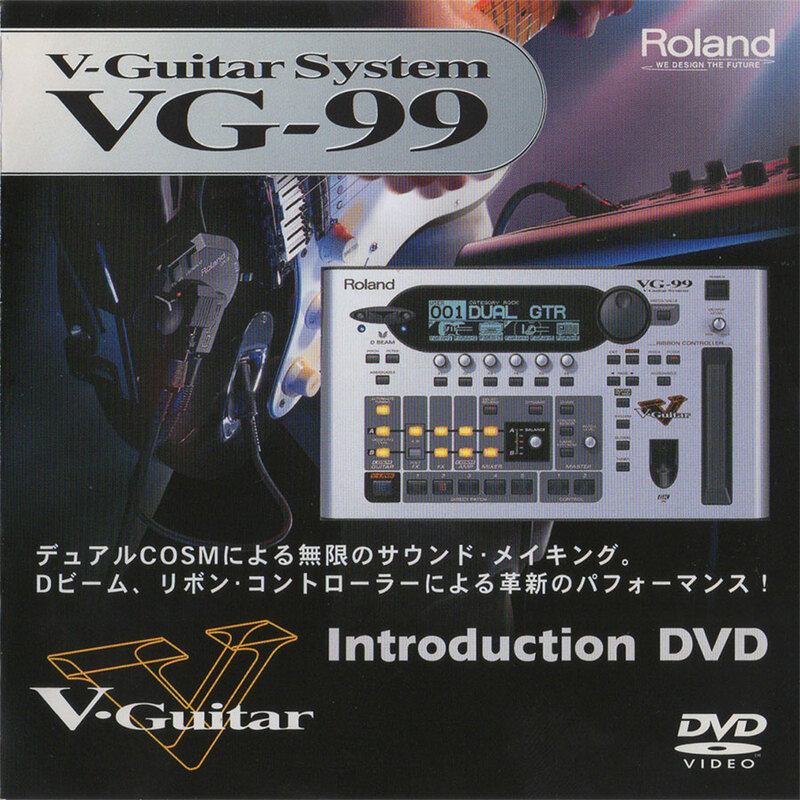 The DVD is book ended by two performance videos with Yamazaki making excellent use of the live performace features of the VG-99, notably the D-Beam controller and the ribbon controller. There are a total of eleven individual videos. 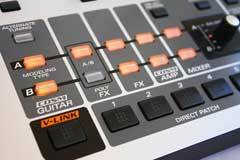 In contrast to many of the presets in the VG-99, sounds are often presented without being awash in effects. 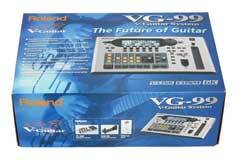 Not only does this help the viewer evaluate the qualities of the VG-99, I think it also makes the unit sound better, as the over processed factory presets do not do justice to the sound of the VG-99 and take away the immediacy of the guitar modeling. 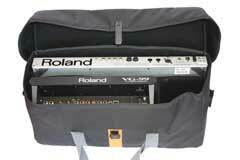 I came across the original DVD video on the Roland Japan site. 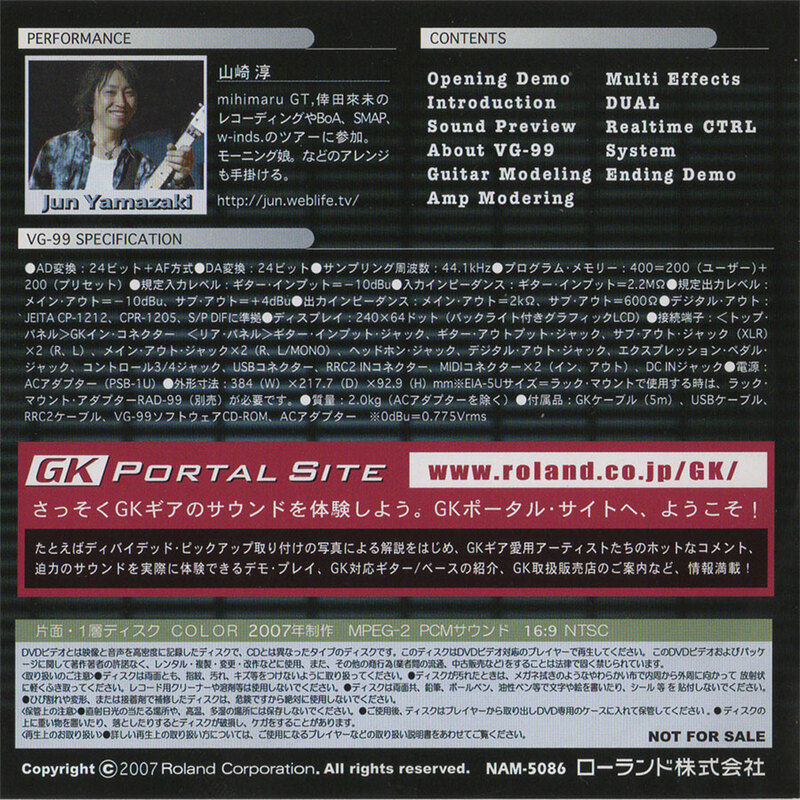 These videos never made it to YouTube, and were presented using the now out-dated Adobe flash technology to render the videos. When Roland revamped their website, these videos for the now discontinued VG-99 were lost. Amazing enough, I stumbled across the DVD on a Japanese auction site. 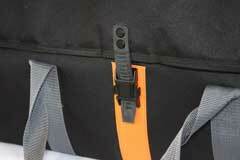 I won the auction for less than $4.00! But I spent more than ten times that amount for the various fees and shipping charges, and then I needed to rip and process the videos on the Japanese disc! 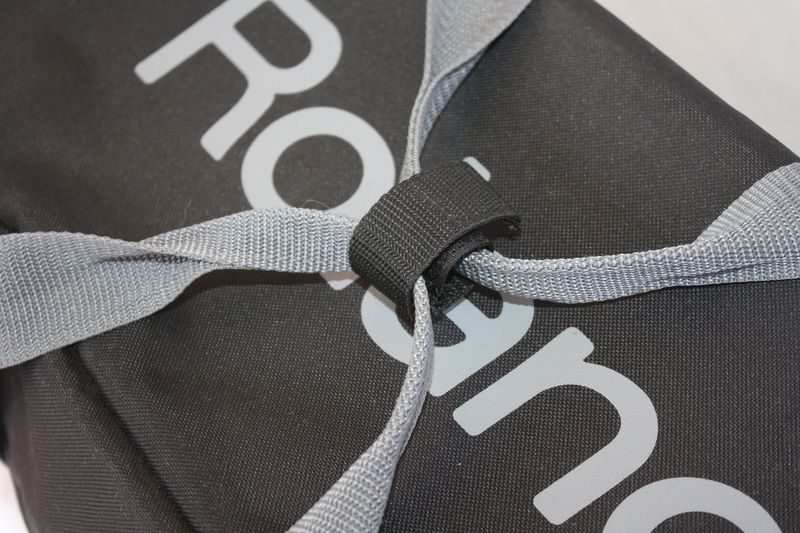 But it was worth the trouble. 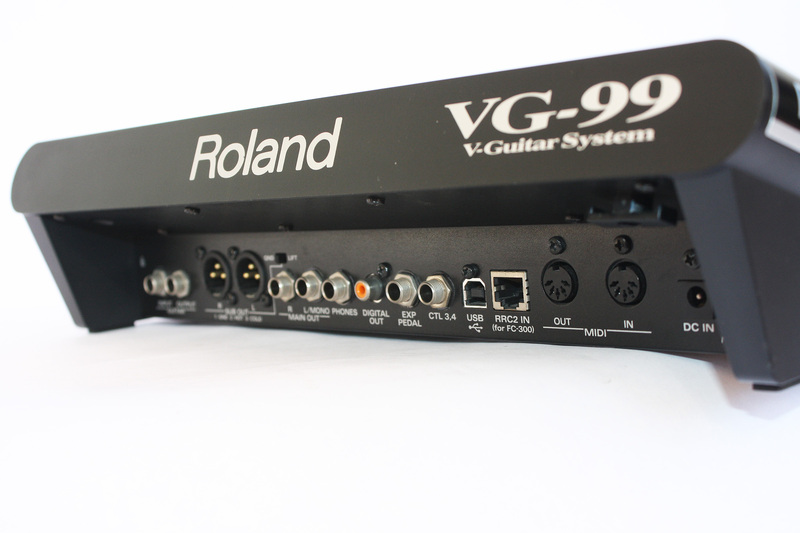 A look at the DVD will remind you of all the incredible power in the VG-99, and helps one appreciate how much power has been passed down to the modest Boss GP-10, which has inherited most of the fundamental modeling and effects technology in the VG-99. 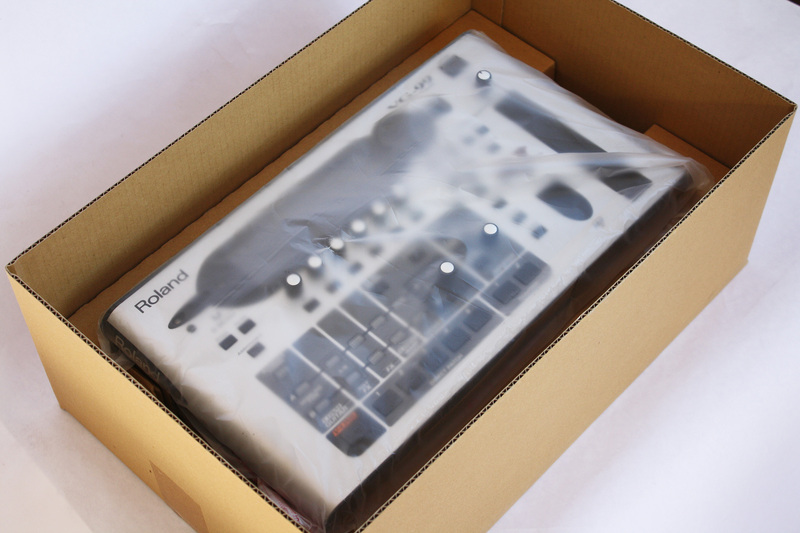 I remain puzzled by the fact that Roland did not release something similar in English. 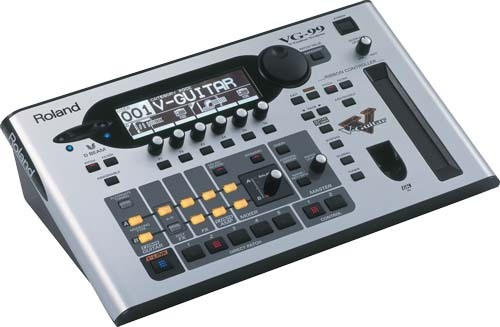 One of my frusrations regarding the awesome VG-99 is the fact most guitar players never appreciated or understood what this synth is capable of. 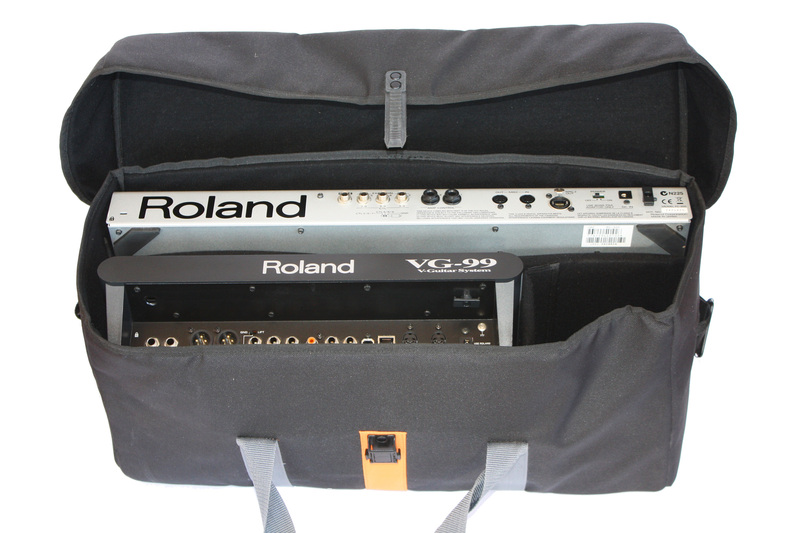 Those people fortunate enough to see or hear Bill Ruppert's jaw dropping VG-99 audio and videos demos know that this synthesier is capable of creating truly inspiring and moving music. 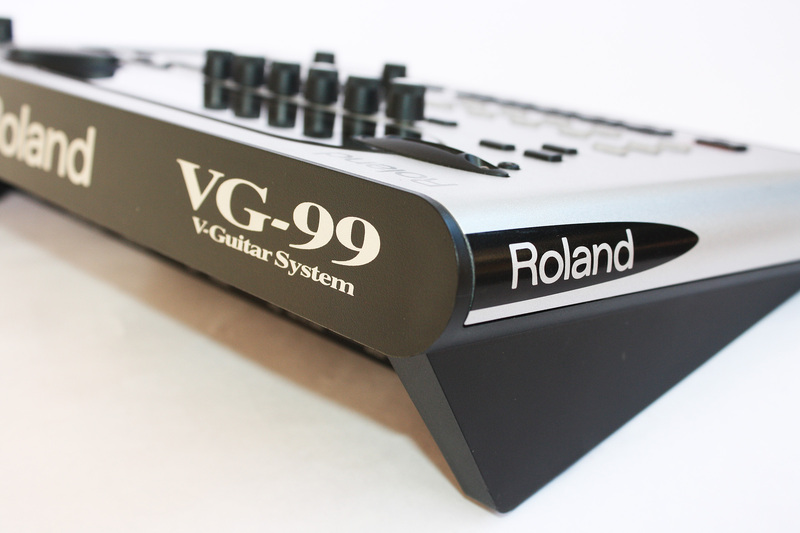 The V-Guitar community is left to imagine what would have been the history of the Roland VG-99 if Bill Ruppert would have been a part of marketing this amazing synthesizer. 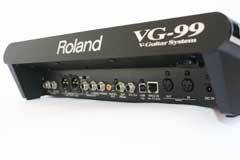 The current version of the VG-99 operating system is version 1.04. Download the VG-99 Service Manual Schematics.